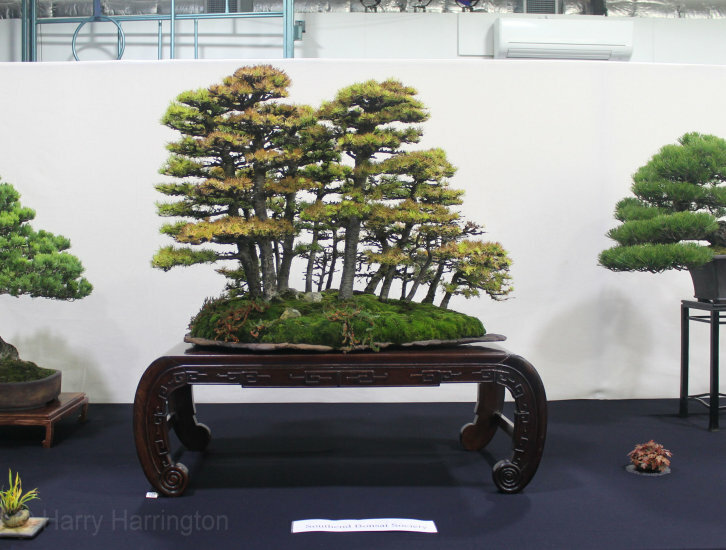 If you wanted to see diversity in bonsai trees then you needed to go to Heathrow Bonsai show this year as this was the place to see that. 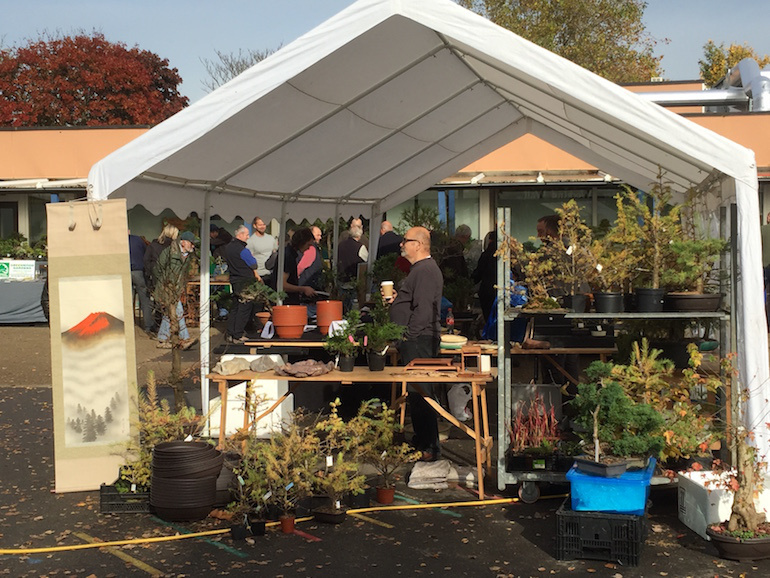 ​with displays made up of 102 exhibitors showing 198 trees this year from all around the UK, which was incredible and some of the artistry was amazing. 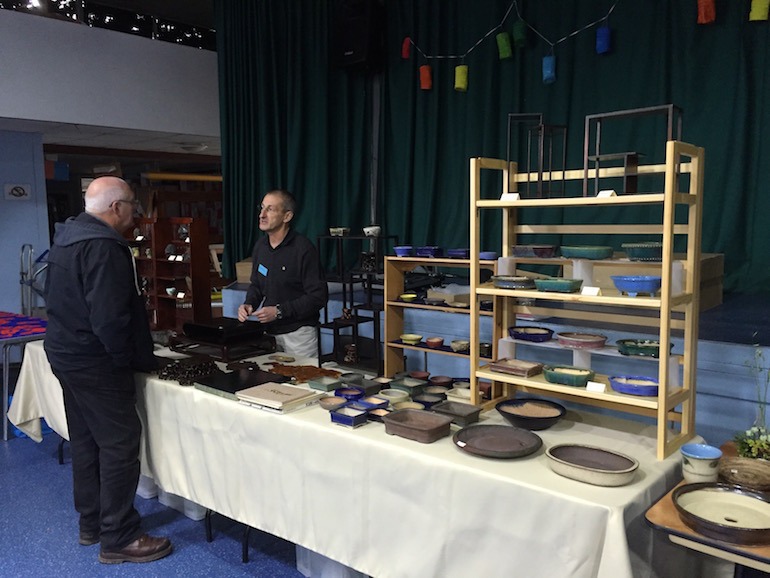 If you haven’t been to this show before then add it to your calendar for next year, as this is one of the friendliest shows with a relaxed and fun atmosphere. 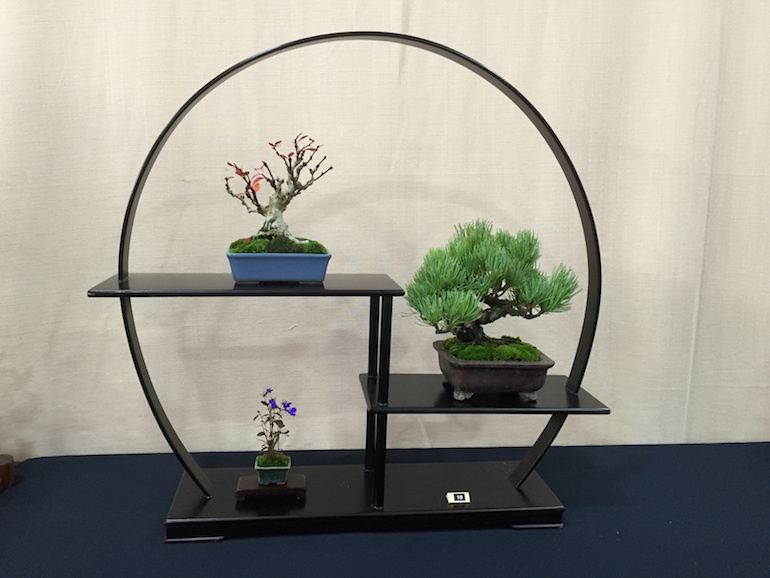 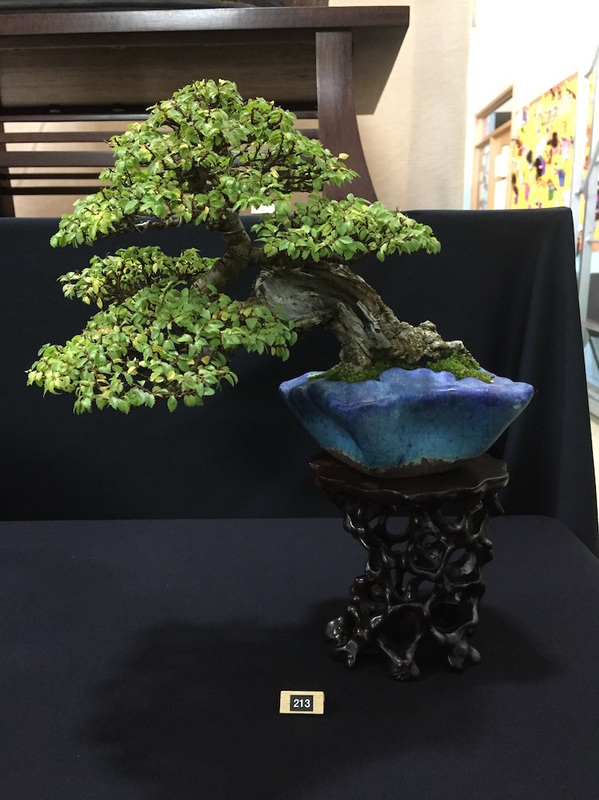 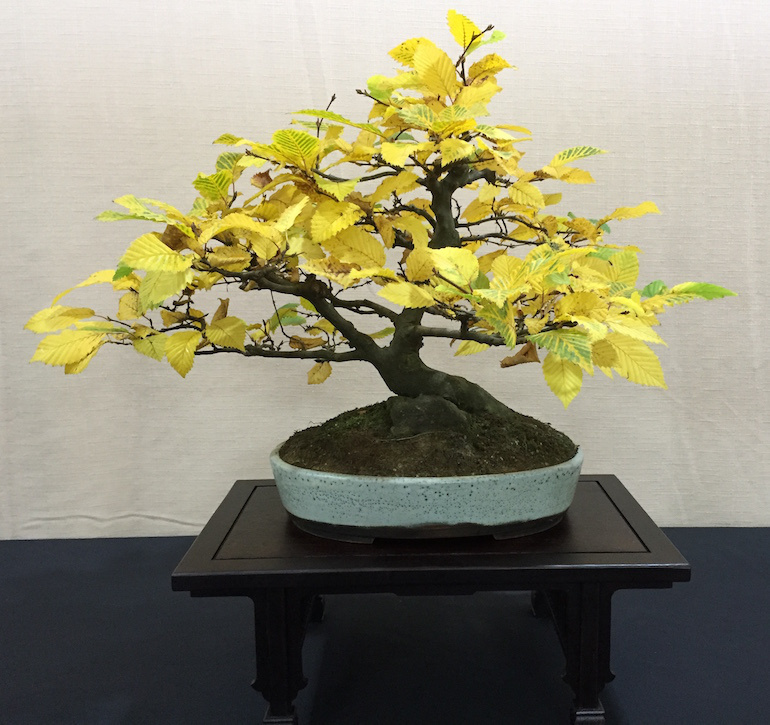 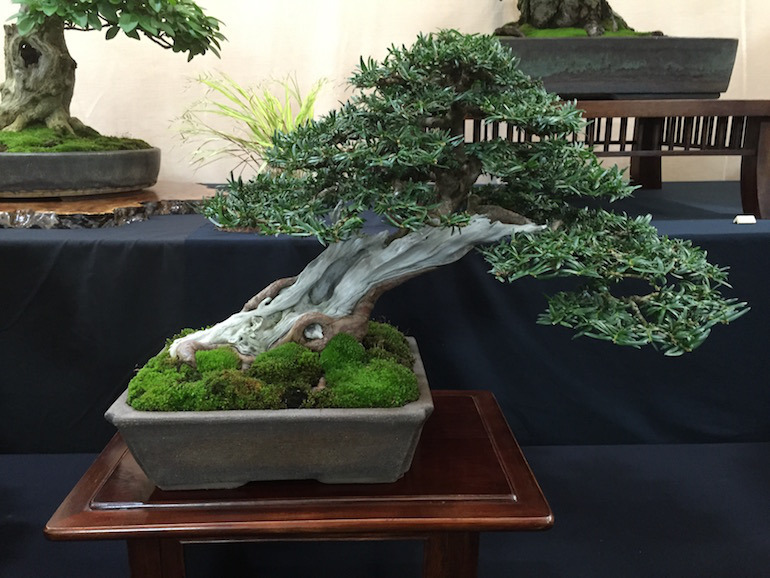 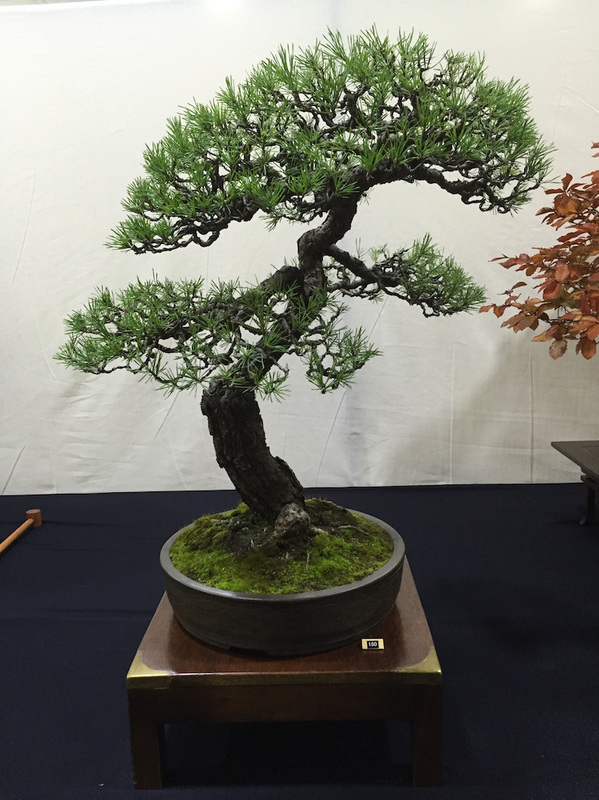 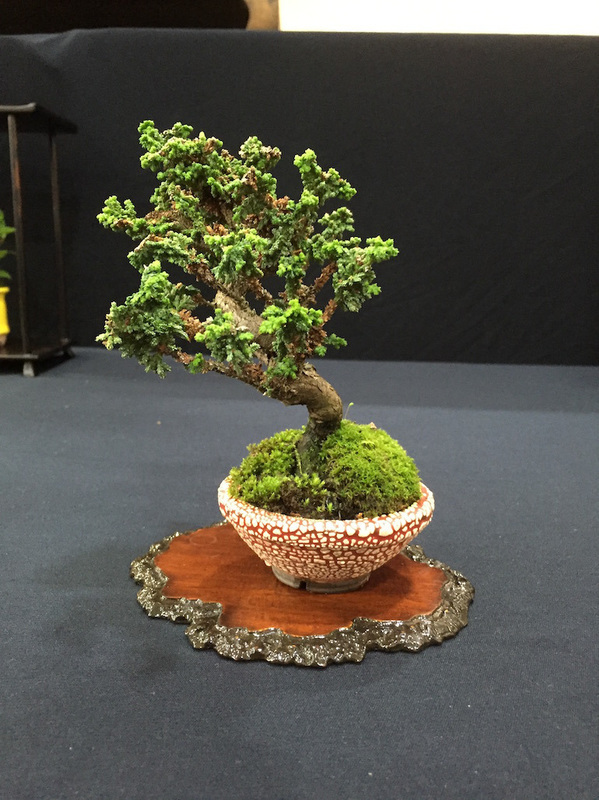 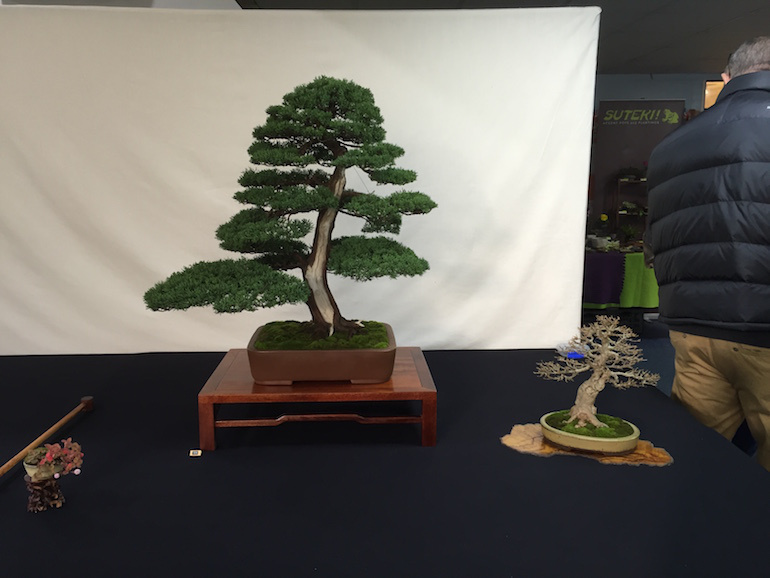 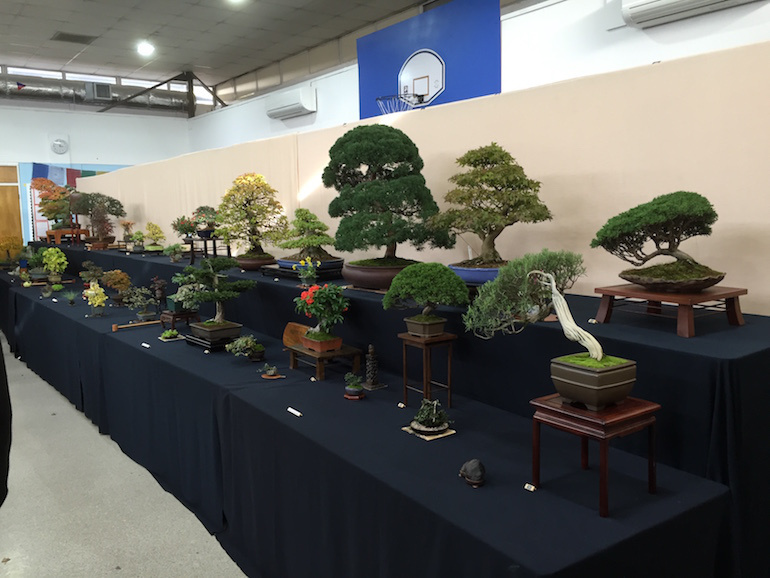 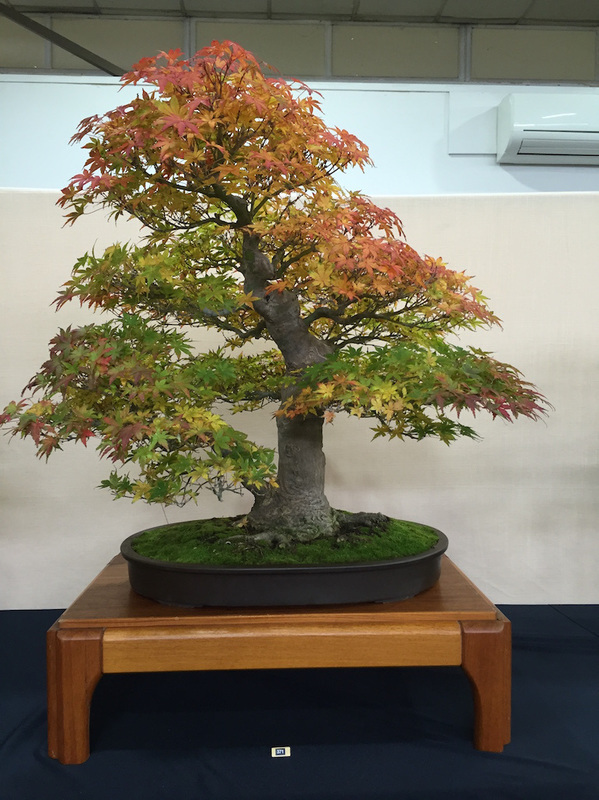 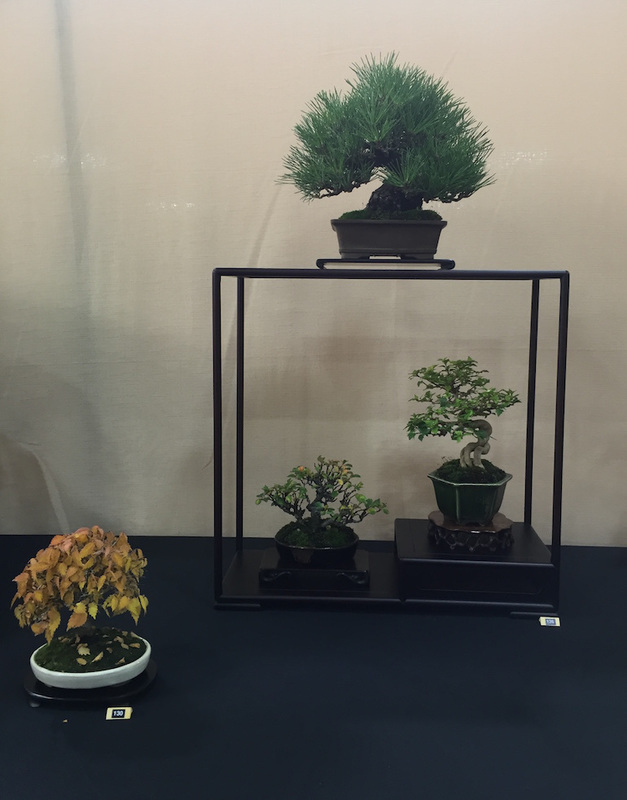 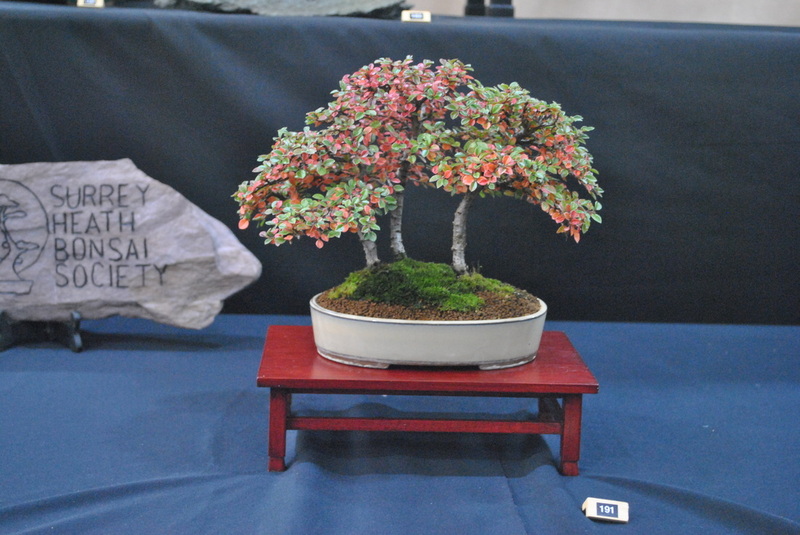 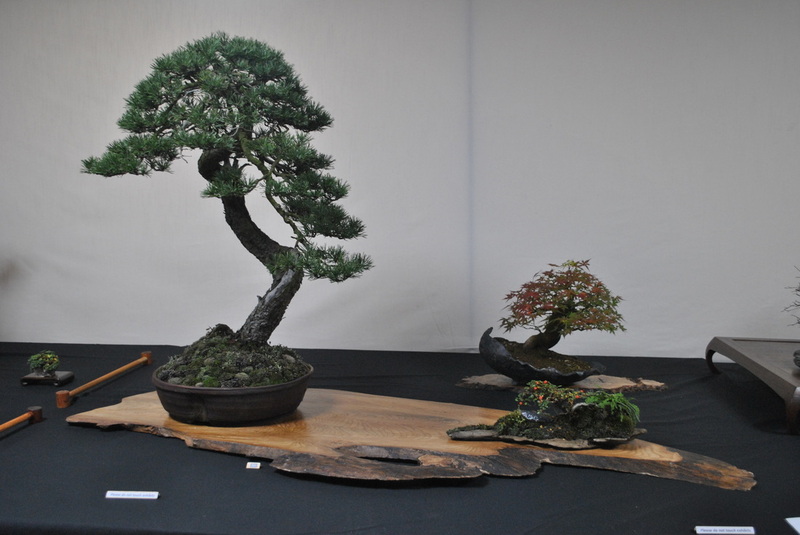 ​One of the core values of this show is providing an opportunity for clubs and societies plus individuals to display their bonsai of all levels together for everyone to enjoy. 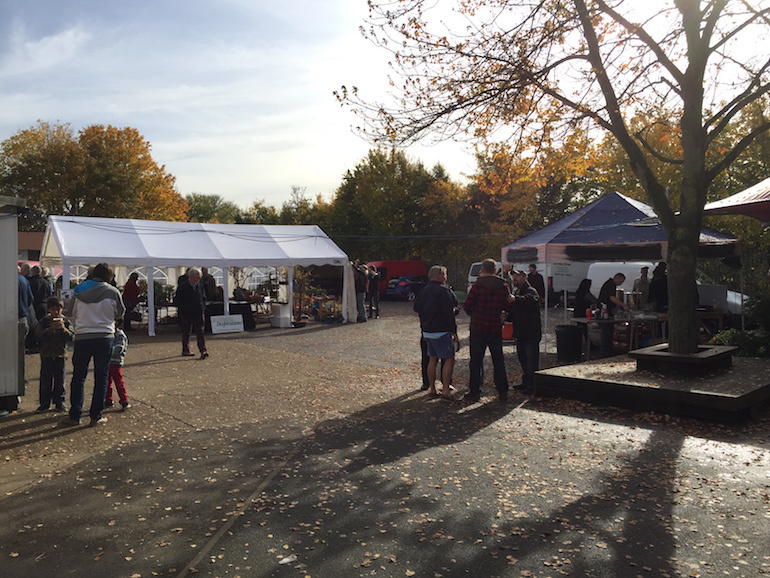 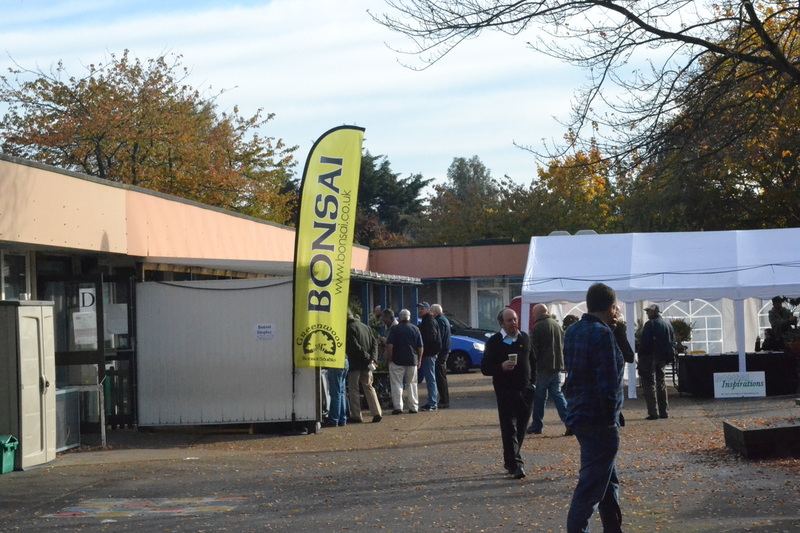 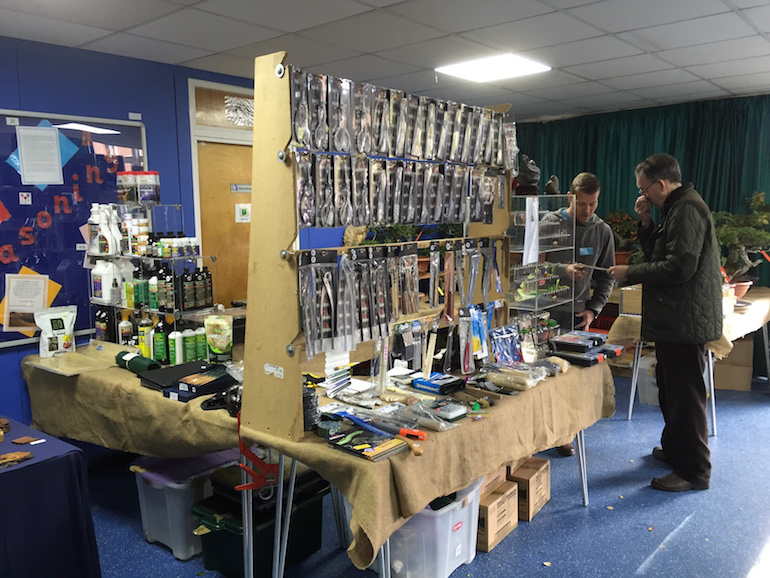 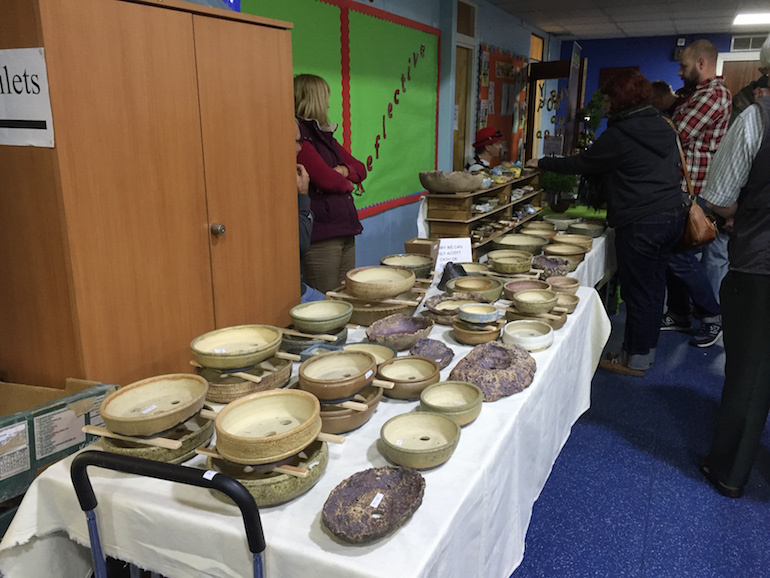 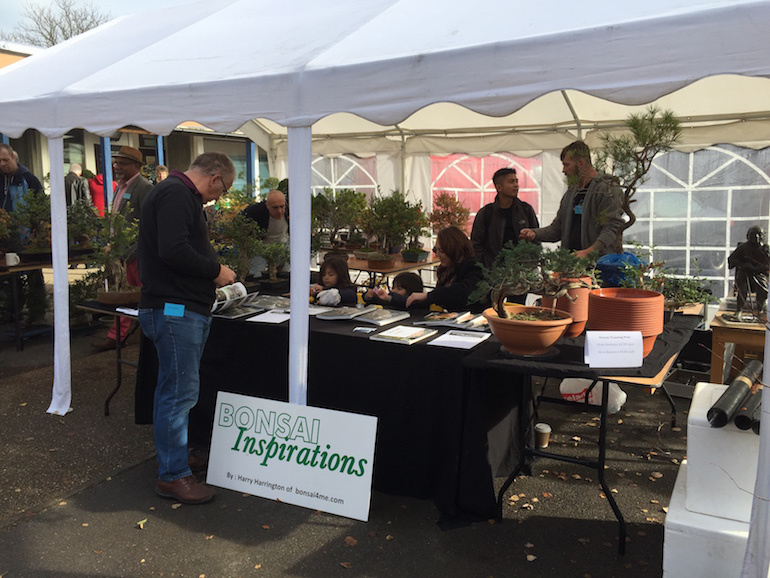 It has a high general public attendance too which helps to promote the bonsai hobby out to a wider audience and many went away with a bonsai purchase. 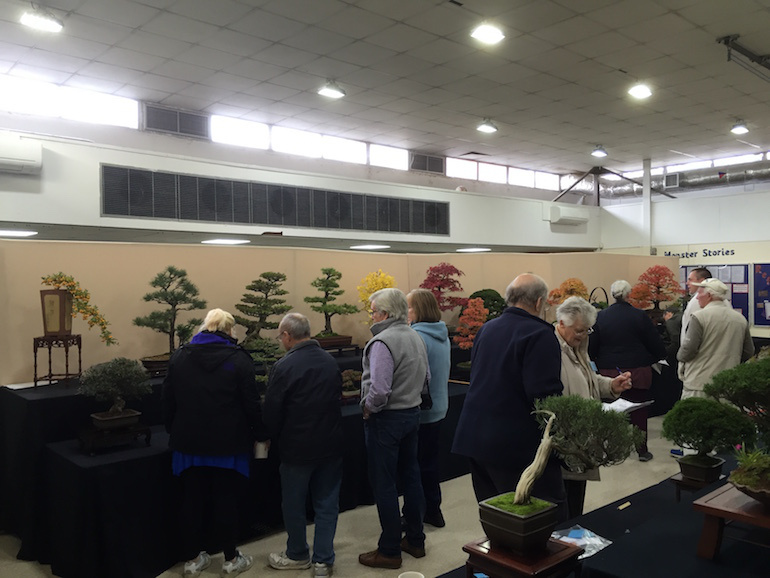 ​One of the other great things about this show is the timing of the year, this is a great end of the year show with a fabulous array of autumn colour across the full spectrum of the rainbow. 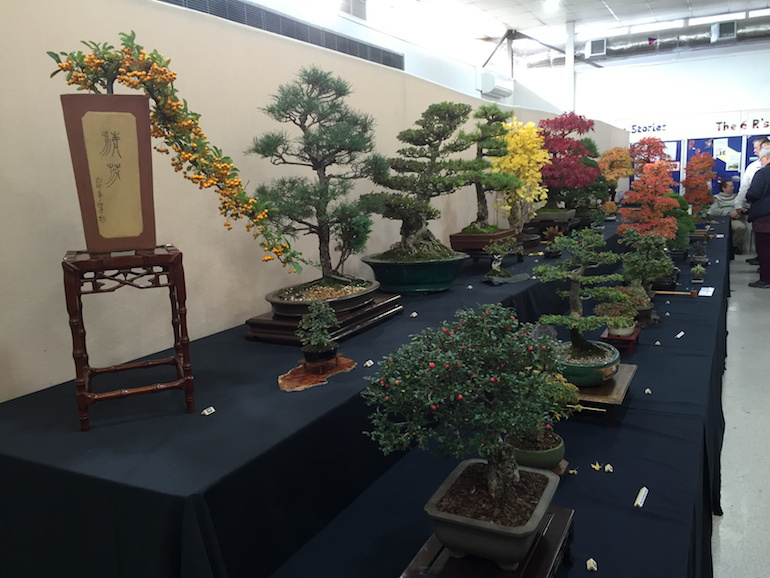 It was a delight to see the myriad of colourful berries, flowers and leaves on the displays. 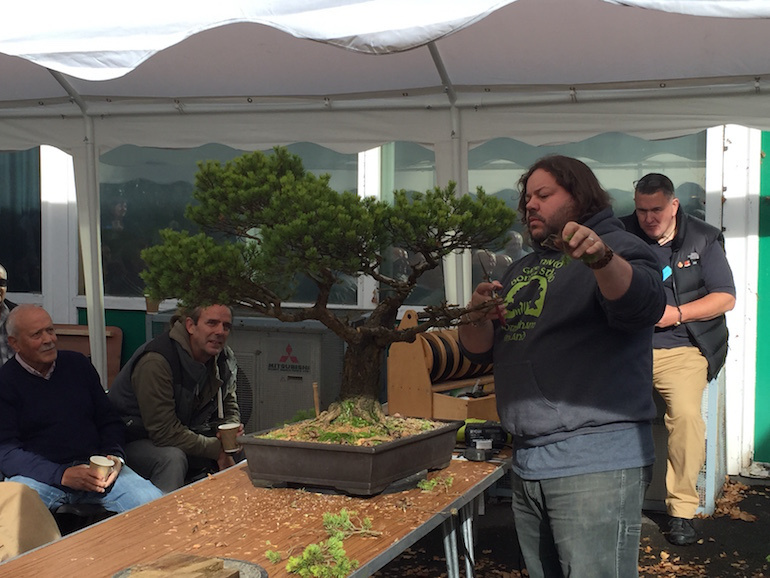 Corin Tomlinson of Greenwood Bonsai Studio provided a full days demonstration on a white pine showing a wide variety of techniques and styling. 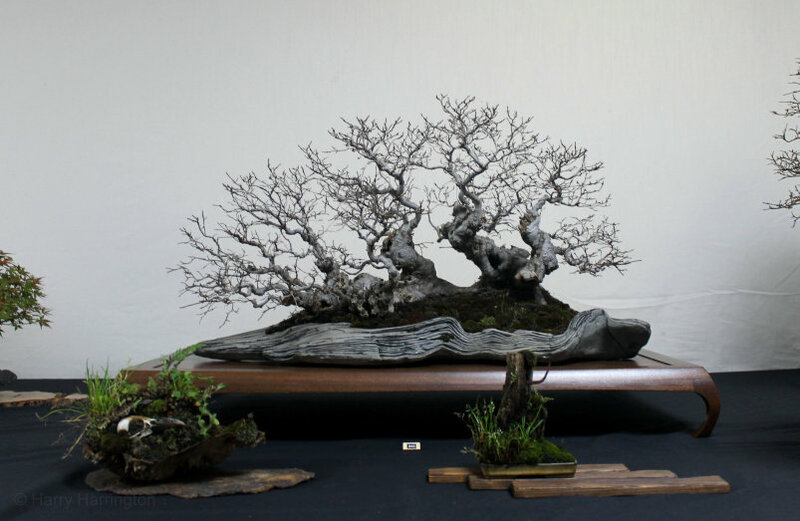 The finished tree was a stark contrast to the original material and showed great potential with continued development. 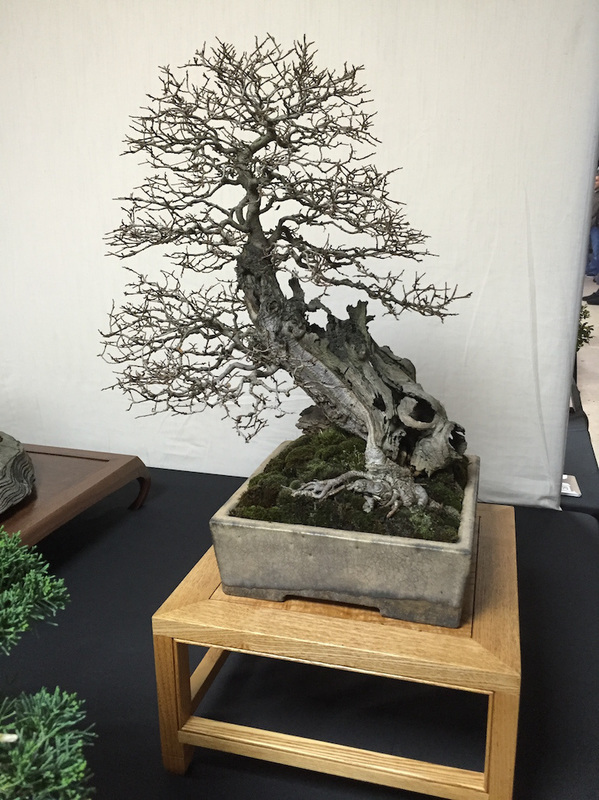 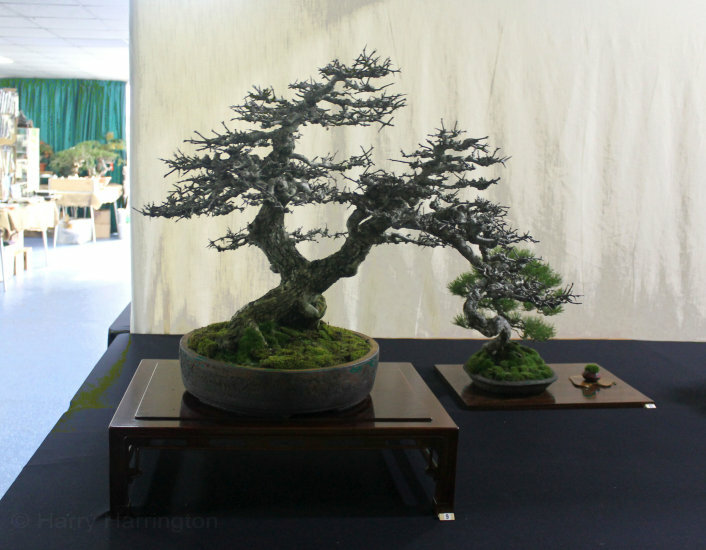 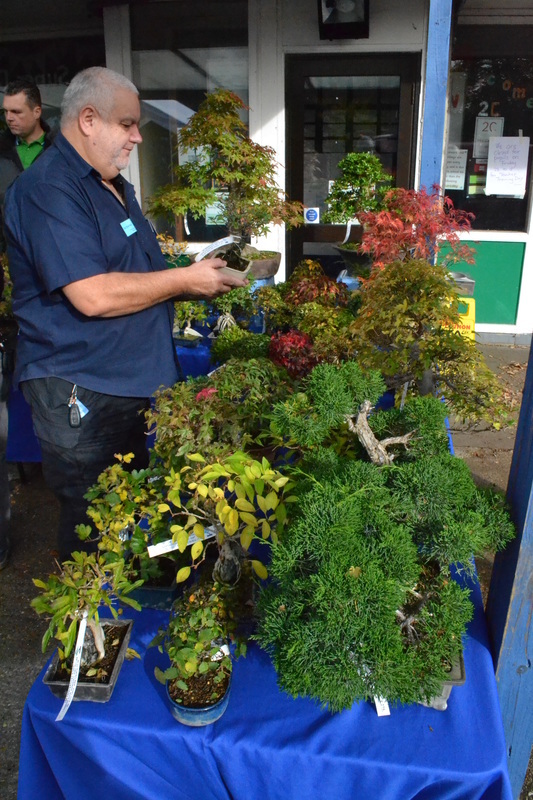 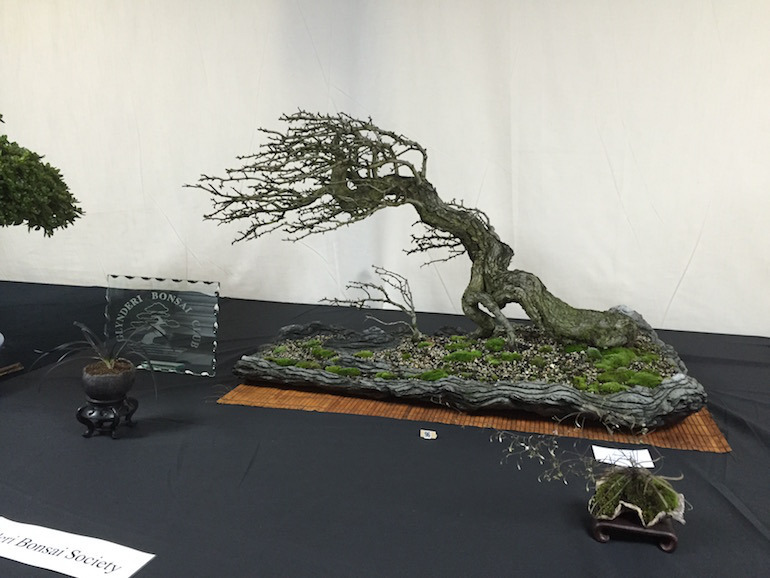 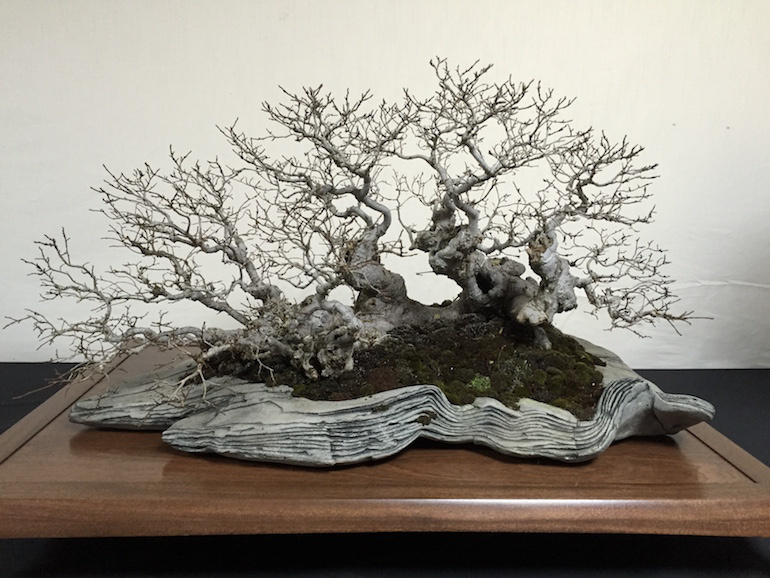 Another feature of the Heathrow bonsai show was the range of styles of bonsai trees on display this year, from cascades, formal uprights to windswept and semi cascades with groups and forests too. 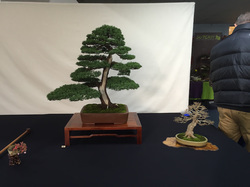 There were also trees in full winter image with exquisite trunk carving through to evergreens, fabulous autumnal colours as well as a good range of mame, shohin, chuhin and large bonsai. ​I​n addition to bonsai displays, there was an excellent array of different bonsai traders including Harry Harrington of Bonsai Inspirations, Lee Verhorevoort, Kaizen Bonsai, Mark D’Cruz of Ma-Ke Bonsai, Chris Thomas, greenwood Bonsa, Andy Moore selling bonsai trees. 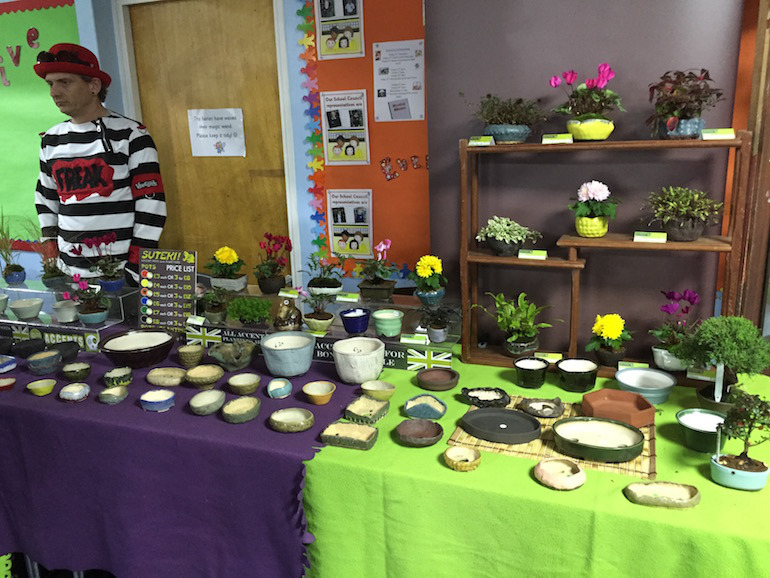 Potters: Daniel Butler, Pine Cone Cereramics, Christines Ceremaics, Sutekia Accents and MingChen Moreland. 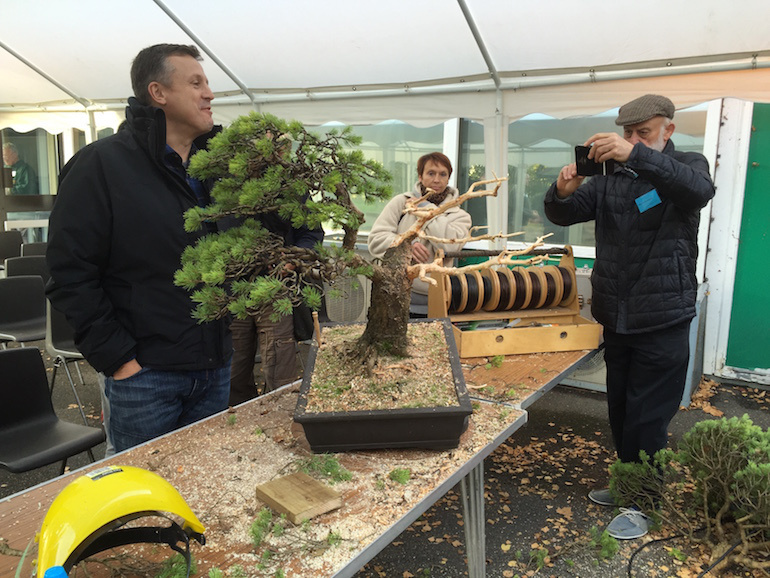 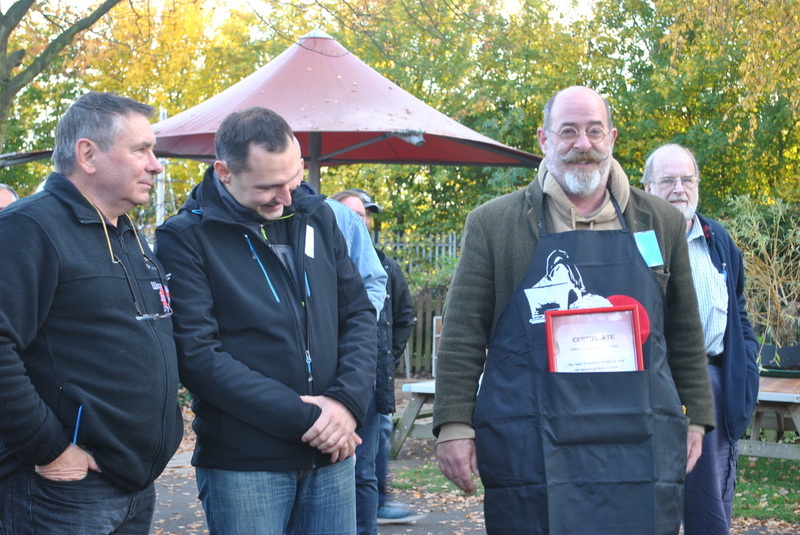 David J Sampson of Fine Suiseki, Adrian Long of UK Bonsai Tables, Barry Walker and Graham Jenkins. 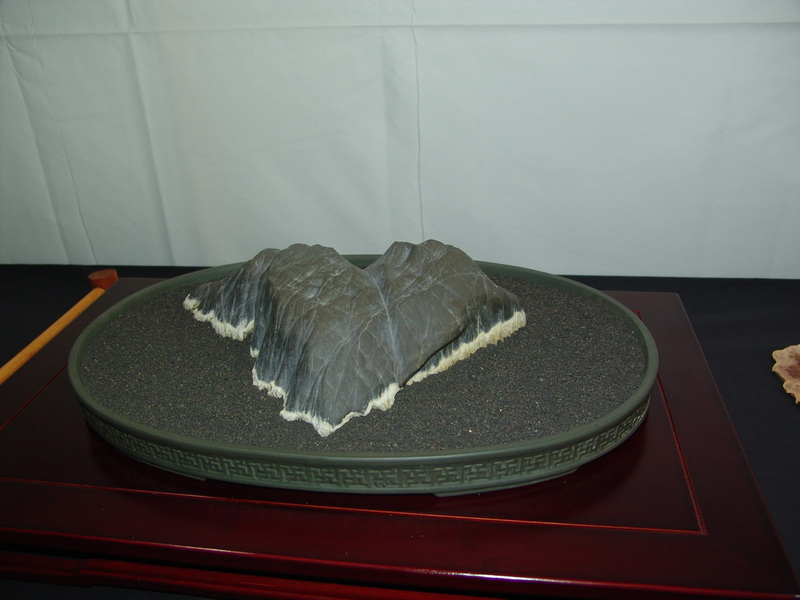 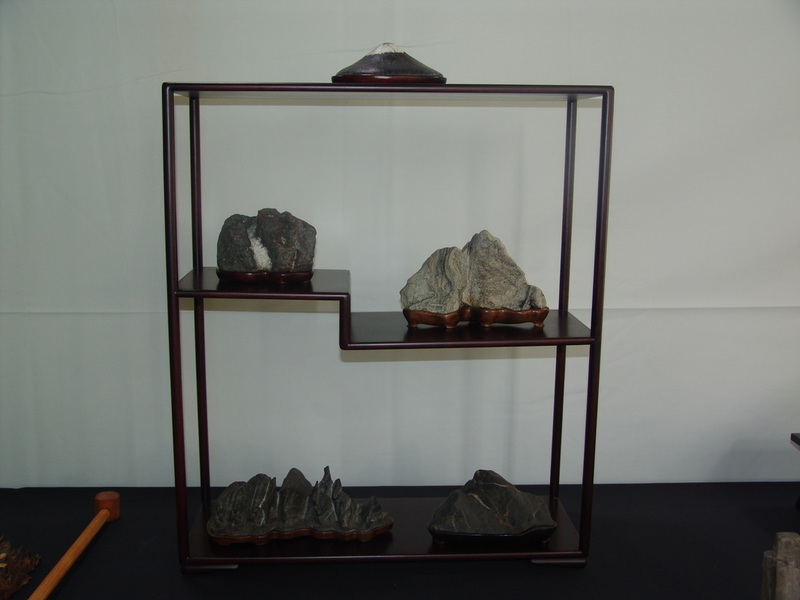 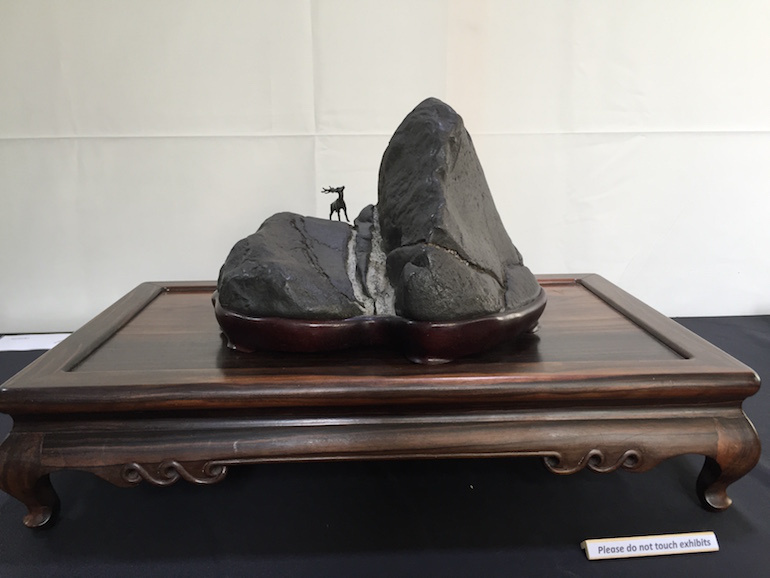 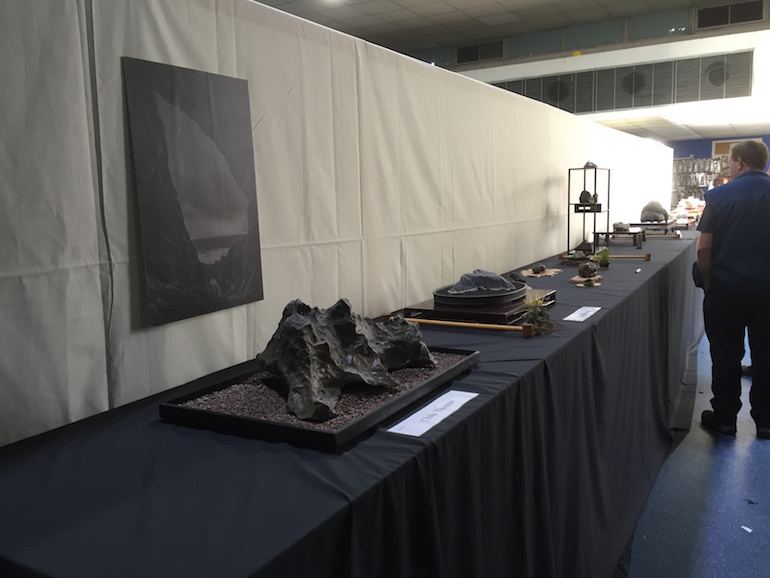 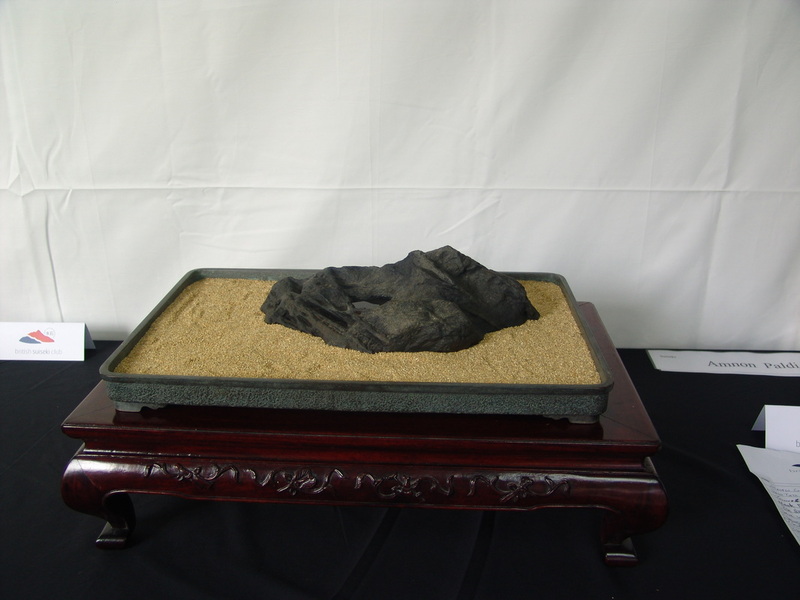 ​There was also a chance to see some excellent viewing stones that were on display from the British Suiseki Society and other individuals adding another aesthetic dimension to the show and expanding people’s knowledge on the range of elements that are linked to the hobby of bonsai. 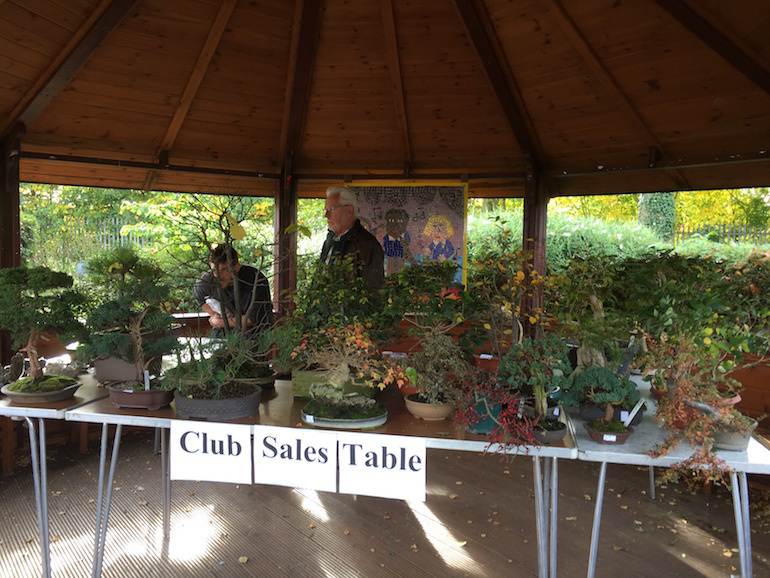 A special thanks once again go to Mark and MingChen Moreland and all the other clubs members who helped with the organisation and preparations for the show to enable it to happen and go smoothly on the day. 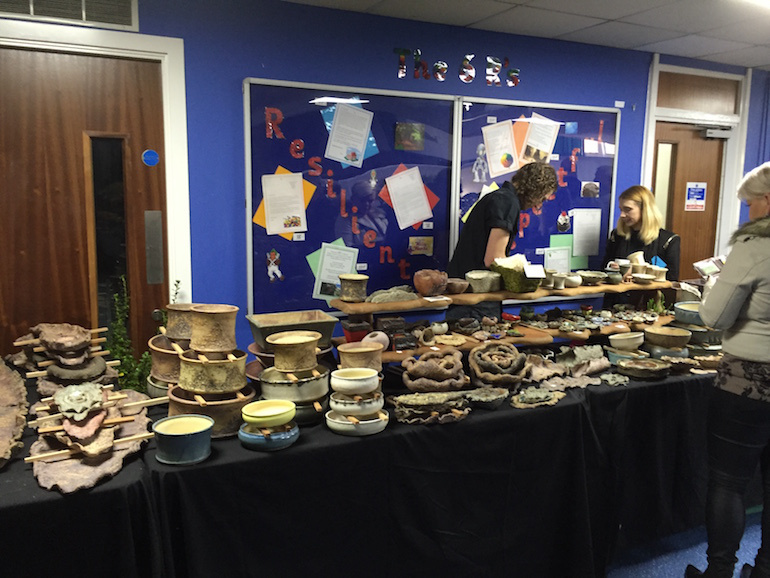 The layout for this years show at William Byrd Primary School within the two halls worked exceptionally well. 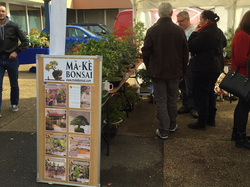 In addition to having with great weather on the day making it a perfect day for viewing and discussing bonsai both inside and out. The catering was excellent and everyone got to enjoy the bacon rolls, burgers, teas and coffees that were available on the day.